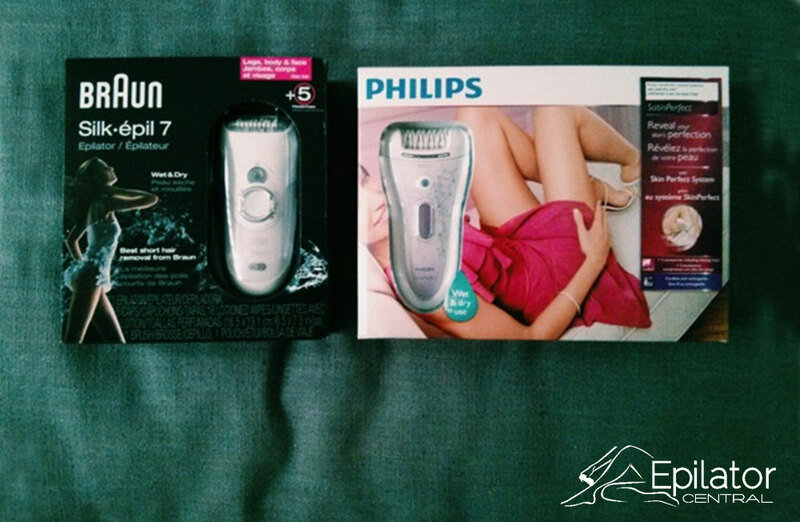 We asked one of our testers to compare the Braun Silk 7 epilator with the Philips Satin Perfect. 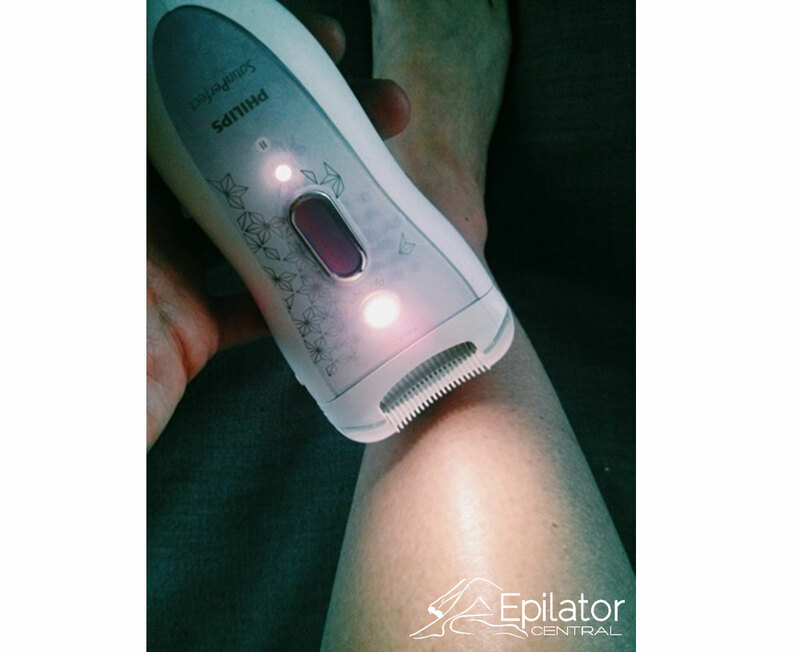 Here is my comparison review of the Braun Silk 7 and Philips Satin Perfect Epilator. 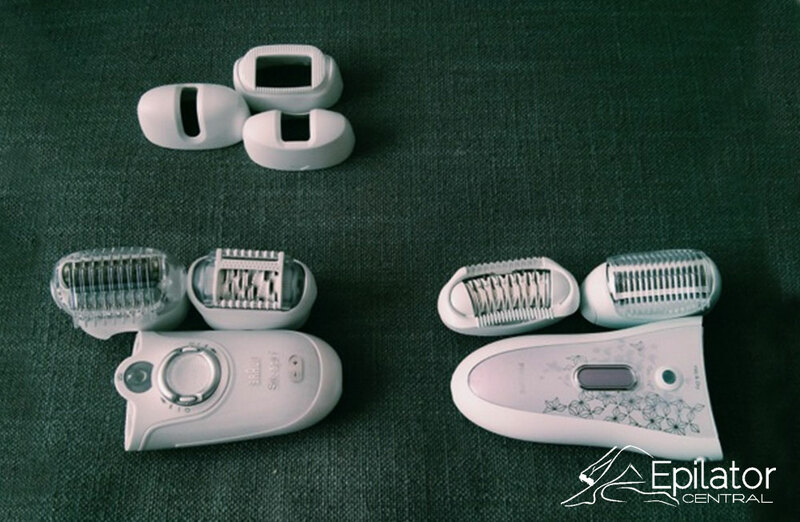 Although this particular Philips model does not have the same amount of accessories to compare fairly (that model was only available in the UK at the time), I will compare side by side what is common in both models. 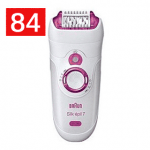 The Braun Silk Epil 7 would have been the equivalent to the Philips. 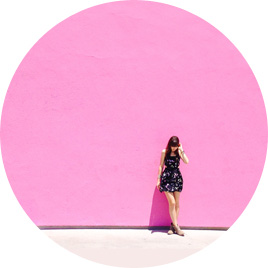 One of the main points of interest in this comparison is the wet vs. dry and the ceramic disc vs. the metal disc tweezers and how they perform in regards to pain, efficiency and ingrown hair. As a note: The comparison was reviewed by a Caucasian female with different hair types: legs and arms (fine blond-dark blond hair), underarms/bikini (coarser dark brown), no facial hair. 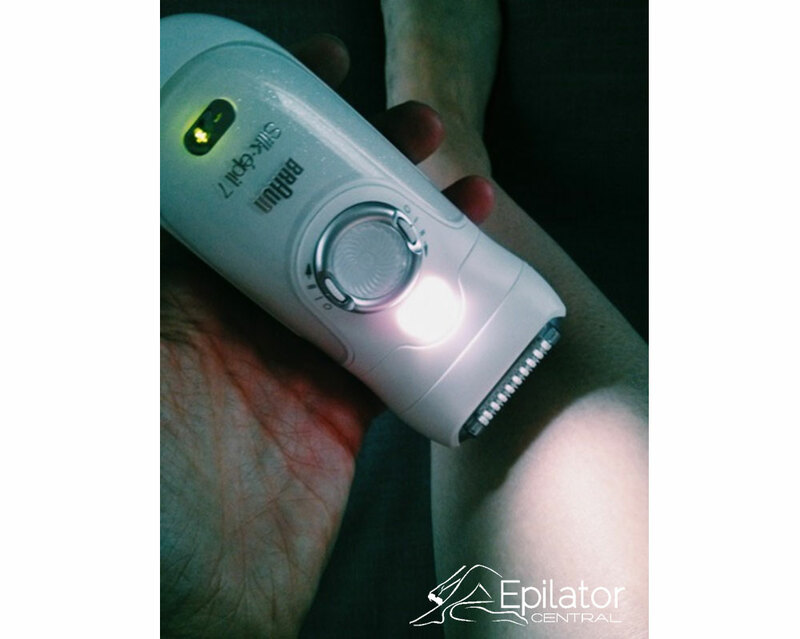 I was shaving before this review, and had some laser treatments, which made my hair more fine and sparse. 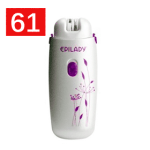 I have tried sugaring/waxing and some epilating with an older Braun Silk-épil (baby blue, corded) epilator in the past. 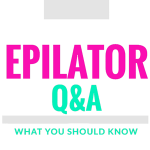 This review will not include tips on epilating or describing the product with all the accessories, as these types of information are readily available on the Internet. I am also not associated with Braun or Philips; this comparison was created and written by me alone out of my pure interest. 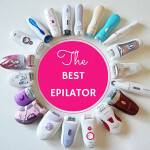 Additionally, I know this is subjective, but I have a high pain tolerance and currently have sparse and finer hair then at the time when I waxed or used my old epilator, but will try my best to give a fair review that rather compares the pain between devices. Massage cap (1st time use): I used the massage cap on both for my first time around, but I don’t think they were quite equivalent (Philips seemed to be a more like a half massage/ half efficiency cap, Braun is a double roller massage cap). The Braun efficiency cap will therefore also be reviewed (2nd time around). 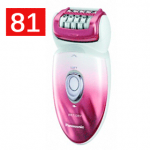 Philips – Ceramic: This is a bit of a beast of a machine. Very efficient, even with the massage/efficiency attachment on legs and arms. Not so gentle on sensitive areas: it had a hard time grabbing the hair in the bikini area (maybe I was slightly hesitant without a appropriate cap since it was a bit aggressive), no issues on the underarms. 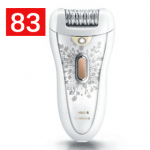 Braun – Metal: A quiet and gentle machine. The double massage cap was great for arms, good for under arms and bikini, but inefficient for legs. I need to try the efficiency cap to give more of a fair evaluation in regards to legs. 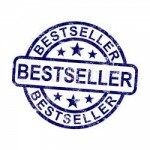 Pain: I barely felt anything on legs and arms (5/5). Underarms were good (3.9-4.1/5) and bikini uncomfortable (2.8-3/5). I even used the massage caps on the underarms and bikini – a bit scary for the first time. 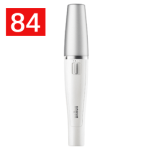 Using the sensitivity cap by Braun did reduce the pain a bit (3.2-3.4/5) on the bikini, Philips had nothing equivalent to compare. 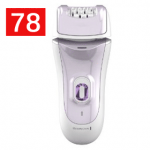 Efficiency + time: The Philips is more efficient but not gentle on sensitive areas. Braun is gentler and therefore a bit slower with this cap, which is inefficient on the legs but preferred on arms, underarms and bikini (excluding the face and sensitivity cap). 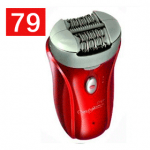 Philips – Ceramic: Performed very well dry. 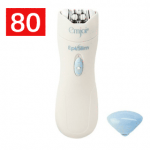 It’s a great epilator for large areas such as legs and even arms. 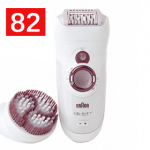 Braun – Metal: I tried the efficiency cap on my legs dry and it was good. Pain: I barely felt anything on legs and arms (5/5). * Side note (as Philips does not have this attachment cap in this model): I did use the face cap (as I don’t have facial hair) and redid my bikini. I removed maybe 30% of the hair wet the day before and removed another 35% dry. The pain was way less (3.9-4/5) as I was able to see better and keep the skin taught. The face cap and the 1 speed setting also contributed. Shower: not great at all (3rd time use). The visibility is reduced due to shower curtain and my leg hair being blonde and therefore efficiency is not great. The shower causes the hair to stick to the skin reducing efficiency. 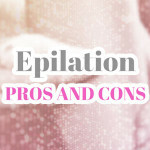 For epilating coarse hair I would suggest the bath as you can keep the shower curtain open and the hair seems to be more floating rather than stuck to the skin. 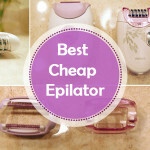 Pain: there was a lot less hair but I thought it was still less painful (5/5) than the old dry epilator i used or waxing. Efficiency + time: couldn’t see much even with the light and wet hair is sticking to skin. 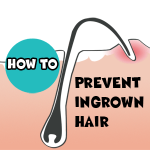 Comments: I really prefer the dry option, definitely even more now that I have already epilated two hair growth cycles and the hair is growing thinner and finer. The visibility equals efficiency to me, as I do not have much hair. If there is lots of hair one could just get most of it done and then the touch ups later. But I still suggest bath over shower, as it seems more efficient and also more environmentally friendly. I decided to epilate as often as possible as it keeps the discomfort in the sensitive areas to a minimum and it’s summer now. Once the finer hair appears and we get into fall I will stretch out the days but at the moment I will keep on top of it. 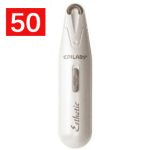 Efficiency: The Philips with ceramic disc tweezers might be more efficient. Possible reasons: stronger motor, ceramic discs are slightly more successful at grabbing hair. 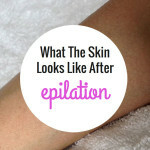 Cons: The massage cap did pop off (possibly my fault), and the epilator also pulled my skin at the knee a bit (it was my fault for not being taught, did not hurt though). I gave the Braun a slightly better score, as it is gentler and more versatile in regards to different body areas. 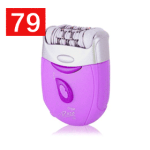 The accessories are really useful and needed for a full body epilation. 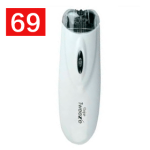 Philips has a similar model as well (in the UK) and it comes with a battery operated small metal disc epilator for sensitive areas, which I would say is needed as I found the Philips harder to use on sensitive areas with the head being this wide (+ the lack of caps). 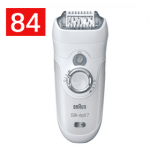 The Braun Silk-épil 7 would have otherwise been the equivalent to the Philips in regards to accessories. I would still give it the same score for the head shape and gentleness. 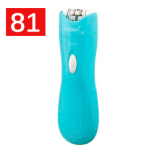 One could still attempt to use it on more sensitive areas vs. the Philips. 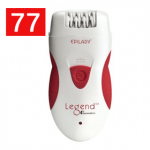 Philips can be the right model for somebody with a high pain tolerance and regularly epilating hair in the sensitive areas, assuming they can make it work with that type of head. I hope I have not been too generous on the pain factor but like I mentioned before I have a lot less hair now.